Stahl asks what is the connection between sherutim and bathrooms? Sherutim comes from sherut, service, but he could find no one that calls bathrooms "services" in either English or French. (I've heard people call them in English "the facilities", but I don't think that influenced the Hebrew). He then goes on to present a theory of how the term came to be. וַיִּתְּצוּ אֶת-בֵּית הַבַּעַל, וַיְשִׂמֻהוּ למחראות (לְמוֹצָאוֹת) עַד-הַיּוֹם. "They tore down the temple of Baal and turned it into latrines as is still the case". But we see here the beginning of a significant trend. The ktiv (the written form) of the word is macha'rah, but the kri (the read form) is מוצאות motzaot. The Radak comments that both terms refer to the same thing, but the latter, the one read out loud, uses cleaner language. However since both terms refer to excretory functions, another euphemism was needed. 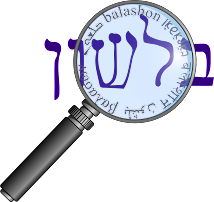 Rashi on the verse identifies מחראות with בית כסא beit kise. This sense, of a chair housing a chamber pot, gave rise to the French term - chaise percee . However, this term too wasn't delicate enough, since it still referred to the nature of the room. So we find in the first mishna of Masechet Tamid a new term for the bathrooms found in the Temple- בית כיסא של כבוד - beit kise shel kavod. And what was its kavod (honor)? The mishna continues: וזה הוא כבודו--מצאו נעול, יודע שיש שם אדם; פתוח, יודע שאין שם אדם. "And this was its honor, if they found it locked, they'd know that someone was inside, and if it was open, they'd know no one was inside." In time, the new euphemism became בית הכבוד beit hakavod. But in time, even beit hakavod needed a euphemism, and people began saying בית שימוש - the room for "using", to serve their needs. And from here, according to Stahl, it was only a small step to sherutim. Of course this leads to the question: will sherutim need a euphemism in the future as well?